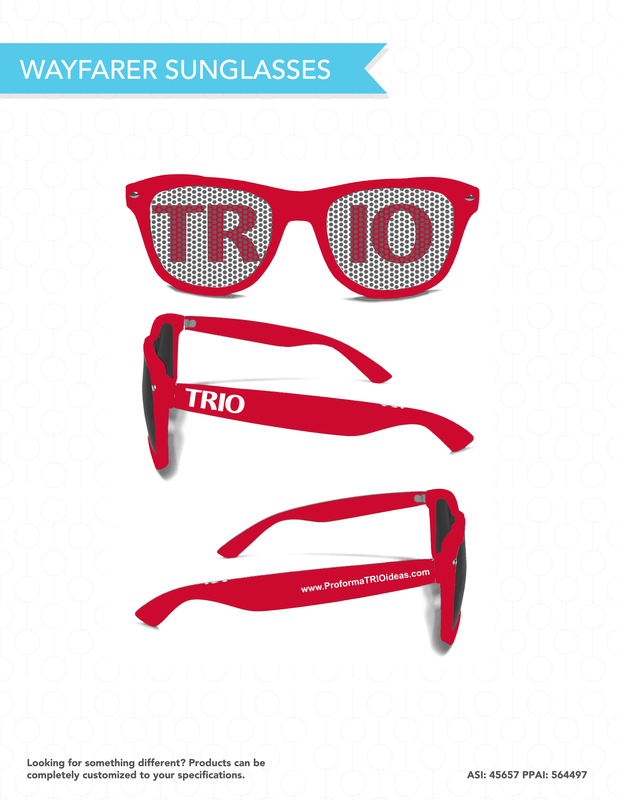 Proforma is now making custom sunglasses for TRIO programs. We can customize the lenses and the arms to any color, and with any imprint. Sample Sunglasses Design. We can do any color or art on these glasses. Summer fun.